until the sun will be shining and people will want to be outside doing something. I don't care if I'm just sitting on my deck, I can't wait to have the sun warming my skin. My husband will be playing golf. There are two golf courses here in Wells county. Timber Ridge Golf Course is located at 2330 E 250 North, and Green Valley Golf Course is located at 2635 E 150 North. If Bill plays in Wells county you will most likely find him at Timber Ridge. HOWEVER, I would venture to say that there are at least 100 golf courses within a 50 mile radius of Bluffton, and he will visit quite a lot of them over the course of the golfing season. If you like to play golf you can probably find a course within 15 - 20 minutes of your home. One place that will be a hub of activity is the River Greenway. It is accessible all year long to pedestrians and bicycles, but only the true fitness enthusiasts use it in the winter months. When nice weather arrives you will see all the fair weather people (which I am a part of) walking or riding their bikes. 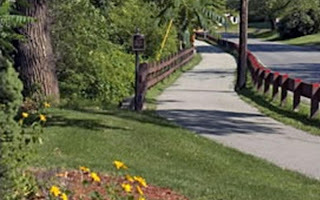 The Greenway begins at Wabash River Park (located just a block north of City Hall) and goes out to Ouabache State Park. 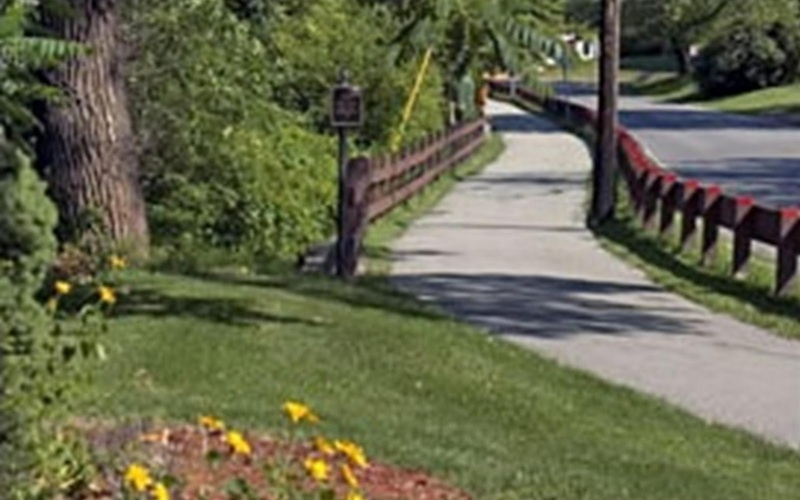 The Greenway is a great way to commune with nature while getting some exercise. Ouabache State Park is another great place, and Bluffton is very fortunate to have it close by. For family fun you can't beat a day at the park. You can picnic, hike, fish, swim, camp, or much more. To see all the wonderful parks that Bluffton offers, click on this link for the Bluffton Parks and Recreation's page. Bluffton has a park for just about everyone....even the dogs! For me, I love to take my grandchildren to the Splash Pad. Whatever you like to do outdoors, I'm sure Bluffton/Wells County has something for you!! Come on Mr. Sun, We're waiting for you!!! !